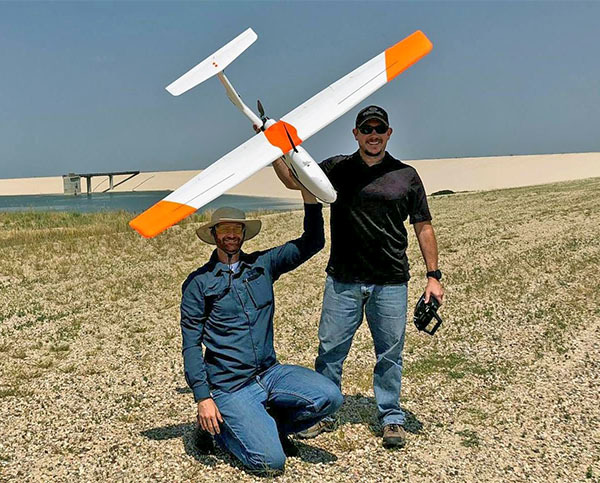 Zac Mott and Brian Koch pose for a photo after completing several data collection flights using the GeoSwift Mapper. The team spent the morning flying the GeoSwift Mapper sUAS (small unmanned aircraft system) to collect aerial images of a dam designed and built by the Army Corps of Engineers. 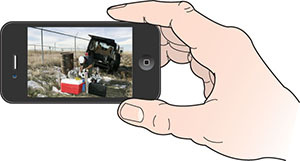 The images collected were later rendered into a high-resolution map and 3D models. newsletter and on the web site. What constitutes a winning photograph?